Qualifying for life insurance protection can be harder when you have a serious health condition. When you apply for coverage, underwriters determine the risk your life insurance policy would create for the insurance company. Healthier people pose less of a risk. If you have a chronic or unmanaged health condition, your policy presents a greater risk, and underwriters might not approve it. Or, if you can get approved for coverage, it may be too expensive. The same can happen when senior citizens seek coverage since underwriters evaluate risk based on life expectancy as well as health. So if you can’t get coverage, and you need it to protect the people who depend on you financially, what can you do? One alternative is to apply for a no medical exam life insurance policy. How much coverage can you purchase? How is it different from medically underwritten coverage? Who should purchase no exam life insurance? What features to look for in a policy? With no exam life insurance, you can avoid the medical exam that most types of life insurance require. Typically, life insurance applicants meet with a paramedical professional, also known as a paramed. take blood and urine samples from the applicant. A lab then tests the samples for various health conditions that could make the applicant a riskier policyholder. This process can prevent people with hard-to-manage health issues such as diabetes from getting medically underwritten life insurance. Bypassing the health exam could make qualifying for coverage much easier. And, with no test results to wait for, underwriters can make a much quicker decision. Naturally, there’s a catch. No exam insurance typically costs more and provides less coverage than a medically underwritten policy because underwriters don’t know as much about the risk your policy would create. If you are in good health, you should be able to find better coverage at better rates by getting insurance that requires a health exam. If, however, a medical exam would prevent you from getting covered or would make your coverage just as expensive as a no exam policy, no exam life insurance may help. When you apply for a guaranteed issue life insurance policy, not only do you avoid the medical exam, but underwriters do not even see your medical records. The insurance company knows almost nothing about the risk your policy would present, so guaranteed issue (sometimes called guaranteed acceptance) costs more than just about any other kind of life insurance. Are you currently residing in a hospital or long-term care facility? Have you been declared terminally ill (defined here as having less than 24 months to live)? Based on your answers, underwriters will decide whether to accept your application. Getting approval doesn’t always mean you’ll have coverage right away because guaranteed issue policies for life insurance often come with a graded death benefit. This means if the insured were to pass away in the first 2 or 3 years of owning the policy, the beneficiary would not receive the full life insurance coverage amount. Instead, depending on how soon the policyholder died, the beneficiary may receive only a refund on the premiums paid so far, along with interest. If the policyholder survives and continues to pay premiums for two to three years (this varies depending on the insurer and the details of the policy) the beneficiary would qualify for the full coverage amount. You’re just about guaranteed to get coverage with this kind of policy, but you’ll also pay more and possibly not have coverage when your family needs it. For these reasons, many people consider guaranteed issue a last resort for life insurance coverage. With a simplified issue policy, you can bypass the medical exam, but underwriters will access your medical records and ask more thorough questions than you’d see on a guaranteed issue policy application. If your health records or questionnaire answers reveal evidence of serious health issues, you may not get approved for coverage. Are you currently employed and have you actively and continuously participated in the duties of your regular occupation on a full-time basis (at least 30 hours per week) for the past 6 months? If retired or currently unemployed, are you physically and mentally capable of being employed on an active full-time basis? Have you been disabled for 30 days or longer during the previous 12 months, and has said disability prevented you from performing your normal daily duties or activities, or are you currently receiving disability benefits? In the last five years, have you been diagnosed by a member of the medical profession as having, or have you been tested positive for or been treated by a member of the medical profession for any of the following: Acquired Immune Deficiency Syndrome (AIDS), AIDS Related Complex (ARC), HIV virus, or any other disease or disorder of the immune system? Within the past 24 months, have you used or are you currently using narcotics, amphetamines or any controlled substance, other than on the advice of a physician? Are you now receiving or within the past 12 months have you received chemo or radiation therapy for cancer or have you ever been diagnosed as being terminally ill? Do you require any assistance with two or more of the following activities: bathing, dressing, toileting, indoor or outdoor mobility, or eating or do you use oxygen for a medical condition? These types of policies can be more specialized and have names like burial life insurance or final expense insurance. In reality, they can cover much more than just your final expenses. Like just about any kind of life insurance, your beneficiary has the freedom to use the money as needed. It’s usually not as expensive as guaranteed issue, but simplified issue policies still cost more than a comparable medically underwritten policy. Once you’re approved for coverage, you pay your premium in exchange for the life insurance protection. If you die with the policy in force, your beneficiary would receive the coverage amount. Life insurance premiums are not tax deductible, but the payout is tax-free. So other than the obvious — the ability to avoid a medical exam — how is a no exam policy different? Coverage amounts tend to be lower for no exam insurance. We’ll get more into these details below. As we’ve already mentioned, guaranteed issue no exam policies sometimes have a graded death benefit which means you may not have full coverage in the first 2 to 3 years of the policy. Since underwriters know less about your health, no exam premiums will cost more than comparable coverage from a medically underwritten policy. More about this later, too. You can often get no exam coverage more quickly since underwriters won’t be waiting on your lab results or considering more nuanced criteria. No exam policies cost more, and they usually place a limit on the amount of coverage you can buy. A traditional, medically underwritten term policy, such as a million dollar term life insurance policy, can offer a lot of coverage at a low rate. Many companies cap guaranteed issue policies at $25,000. Exceptions include Guaranteed Trust Life which offers up to $100,000 in guaranteed issue coverage. With simplified issue, it’s possible to get up to $350,000 in coverage from Assurity if you’re younger than 50. Most insurers cap coverage at $250,000, though you can find some exceptions. If you’d like your life insurance coverage to replace several years of your income, pay off a mortgage, or protect your family’s savings, simplified or guaranteed issue policies likely won’t be big enough. A positive medical exam unlocks your eligibility for a million dollar or more in life insurance coverage, and depending on your age and health, this level of coverage may cost less than a lower amount of no exam coverage, especially if you get a term policy. To get around this shortfall, some people whose health prevents a medically underwritten policy buy two no exam policies. For example, someone could get $350,000 of coverage with Assurity and another $150,000 with Fidelity. This approach can get you closer to the coverage amount a medically underwritten policy can provide. But it will work only if you can afford to keep up the premiums for both policies. We’ve talked a lot about the high cost of no exam policies. But just how expensive are they? If you watch much TV, you’ve probably seen ads offering cheap life insurance with no medical exam. That’s not exactly the case, at least when you compare no exam policies to traditional, medically underwritten term policies. Any time you bypass a medical exam, it’s going to cost more, and it makes sense: Without access to the information gathered from traditional underwriting, your insurance company risks more with a no exam policy. With insurance, more risk equals higher premiums. It’s that simple. For example, a 30-year-old applying for $250,000 in no exam life insurance from Assurity (Non-Med Term 350) could get the same coverage for about half the cost with a term policy that requires a medical exam. If you’re reluctant to get a medical exam because it’s a hassle, you may want to give the situation a little more thought. Yes, making an appointment and spending a couple hours with a paramed takes time and effort. But if you’re healthy, the medical exam can save you a lot of money over the life of the policy. If it’s your fear of needles holding you back from a traditional policy, well, we can’t help much there. You’ll have to decide how much extra you’ll pay for a no exam policy in order to avoid that needle. Usually, the higher cost of no exam coverage will be worthwhile only if you can’t get medically underwritten coverage. Are There Reasons Other than Health to Get a No Exam Policy? Your health may steer you toward guaranteed or simplified issue life insurance, but health isn’t the only reason that motivates people to go the no exam route. Speed: If you need coverage fast because it’s required for a divorce or a business deal, simplified issue life insurance can cut through the waiting time. Sometimes you can have coverage the day you apply. White coat syndrome: Some people fear the medical profession so much they’ll pay higher premiums just to avoid the medical exam, not because they fear the results of the exam. These customers often point, specifically, to the needle used to draw the blood sample as the main reason to stay away. Dangerous jobs and hobbies: Along with age and health, traditional medical underwriting considers your hobbies and your occupation. If you’re a skydiving instructor or you drag race every weekend, you may get a better deal from a no exam policy. Simple convenience: Maybe you’re older and need coverage only to pay your final expenses and $25,000 in coverage will be enough. If that’s you, a simplified or guaranteed issue policy will do the job without a lot of hassle. If you buy guaranteed issue policy, be sure to pay attention to whether the payout will be graded. Unless one or more of these reasons ring true (or unless, of course, you have a serious health condition) you’ll probably do better with traditional medical underwriting. Who Should Purchase No Exam Life Insurance Policies? When you’re shopping for a life insurance policy, speed and convenience can be appealing. It takes a while to research coverage and check out company ratings. Adding a medical appointment to the mix won’t speed things up. You need coverage that would replace 5 to 10 years of your salary so your family wouldn’t have to worry about finances if you died. You’d like a policy to protect your mortgage so your loved ones wouldn’t have to consider selling the house if you died unexpectedly. You can wait four to six weeks to have coverage in place and you don’t have serious health concerns. You’re not crazy about needles but can put up with that fear for a day. Your health isn’t perfect but you don’t know about anything serious that’s going on. You have some health concerns but have successfully managed the symptoms for several years. You have saved up the money you need to leave your loved ones. It boils down to this: Unless you have a reason to avoid the exam, you will probably save serious money and get better coverage by going through with the exam. If you’re still reading, you’re probably serious about getting no exam coverage. So let’s be sure you’re getting a policy that meets your individualized needs. When you apply for your coverage, make sure you know whether 100 percent of the benefit will be paid to your named beneficiary, regardless of when the insured passes away. If not, find out for sure how the policy will be graded. Some guaranteed issue policies take three years to reach 100 percent of the payout. In the earliest months of a policy, it may only refund premiums paid by the policyholder before death. Find out how much your premium will be, and whether it is due monthly, quarterly, or annually. If you can’t afford the premiums, there’s no reason to finalize the coverage. Compared to medically underwritten life insurance policies, a no exam policy will typically cost more – sometimes three to four times more – because of the added risk the insurance carrier is taking on. Depending on your situation, you may want to first apply for medically underwritten coverage. If you don’t qualify, move on to a no exam policy. Even if one insurer turns you down for medically underwritten coverage, you may succeed with another company. Some of the best life insurance companies specialize in policies for people who have a specific kind of health condition. Even if you are applying only for no exam policies, be sure to compare several different policies to find out which company offers the best premium. To make this easier, you can work with an insurance agency that has access to multiple carriers instead of an agent who sells insurance from only one company. Any time you’re buying insurance, review the financial strength and the claims-paying reputation of the insurance carrier you’re considering. This can help give you an idea of whether the company will be financially viable and able to pay your claim when your family needs it. Checking the ratings that are provided by Standard & Poor’s, A.M. Best, Fitch, and/or Moody’s can help determine this. These ratings agencies thoroughly investigate the health of insurance companies and give them grades. Each agency has its own grading scale, but generally speaking, a company with an A rating should be stronger than a company with a B rating, and so on. Checking with the Better Business Bureau can also show you whether your company has had many complaints from former or existing customers. With any kind of life insurance, decide whether you need a whole or a term policy. There’s a big difference between the two. Term life insurance lasts for a specific period of time, usually ranging from 10 to 30 years. When the term expires, so does your coverage. This has some advantages and disadvantages. Since it has an ending date, you can get a lower premium. Term life can offer flexibility. For example, if you need a lot of coverage now but won’t need as much in 20 years, you can save with a 20-year term policy. Term life is simpler. You pay a premium and get coverage. Coverage lasts the rest of your life or until you cancel the policy. Whole life accrues additional cash value that can be useful later in life. Not all insurers offer both kinds of policies within the umbrella of no exam life insurance. So if you have a specific kind of policy in mind, check to make sure the insurance company you’re considering offers it before applying for coverage. Can you get medically underwritten, no exam coverage? Traditionally, the answer to this question would be no because your medical exam gives underwriters the most complete and reliable view of your health. Skipping the exam automatically makes it impossible to access the best rates out there. However, at least one company now offers a best-of-both-worlds approach to term life. 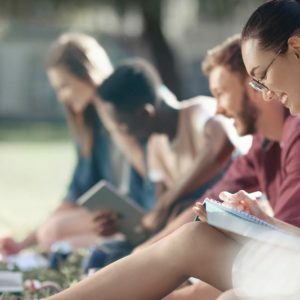 Haven Life, an online agency that sells MassMutual insurance, allows some applicants who are younger than 45 to skip the exam and still get medically underwritten coverage at a great rate. This is all possible because the company’s underwriting department can analyze your medical records through online databases. If they find no evidence of health issues in your past, you may be able to avoid the exam. So check out Haven Life’s HavenTerm program if you’re healthy, you really want to avoid a medical exam, and you’d like a larger coverage amount at a competitive rate. Keep in mind that this coverage technically isn’t no exam coverage. You’re not avoiding the exam because you’re not healthy; you’re avoiding it because the company has concluded you’re in such great health you don’t even need an exam. Finding the lowest premiums on no exam coverage requires comparing multiple carriers. You should approach insurance shopping the way you’d approach a new car purchase or a new home appliance. For example, you probably wouldn’t buy the first refrigerator you saw in the appliance store. Instead, you’d read about the manufacturer. You’d compare prices and features, and you’d make sure the refrigerator would fit in your kitchen. Give your life insurance coverage the same level of thought as you shop. At the same time, with hundreds of life insurance companies to choose from, comparing each one could take months or longer. Below are 13 of our favorite life insurance companies to work with on a no exam policy. If you’re not sure where to start your search, consider one of these. Haven Life is one of the youngest carriers on our list (kind of). While they might be one of the newest, they have already shown they are the best. Let’s explain a little about Haven Life. Their life insurance plans are underwritten by MassMutual. Haven Life is a subsidiary of MassMutual. Haven Life is changing the way life insurance is being bought, using algorithms which allow certain people to get life insurance completely online. Depending on your age and health, there is a chance you can get up to $1 million in insurance without a medical exam. The goal of Haven Life is to make buying insurance as simple as possible. In some cases, you can get a decision in a few days. If you aren’t in good health, they might require you to take an exam, which is going to slow the process down. As far as lengths go, Haven Life sells policies from 10 years to 30 years. The one stipulation is, if you want to buy a 30-year term, you have to be under 50 years old. Haven allows you to get up to a million dollars in coverage online. If you need $2 million, then you’re going to have to jump through more hoops. Banner Life is one of the best in the business, with an A+ superior grade from A.M. Best and an AA- from Standard and Poor’s. It also ranks at the top of so many insurance company lists because the company excels at several kinds of life insurance. However, Banner Life accepts applications only from people age 20 to 50. If you’re the right age, Banner Life could be the best choice for you. For more information, read our review of Banner Life. Transamerica has decades of experience helping all kinds of applicants get quality life insurance at affordable rates. Another A+ rated company by A.M. Best, Transamerica is dependable. All of four ratings agencies like Transamerica, and so do many of its customers: the company has few customer complaints. What are the downsides? Transamerica caps coverage at $249,999, so if you’re looking for a higher level of coverage, Transamerica may not be for you. If you’re older, give Transamerica a close look. It has some of the best life insurance designed for seniors. Learn more about this company by reading our Transamerica Company Review. Mutual of Omaha provides a wider variety of no exam life insurance plans with rates that compare with other leading insurers. Mutual of Omaha offers both term and whole life plans that you can buy without taking a medical exam. The company’s term plans offer no exam coverage as high as $250,000. With an A+ from A.M. Best, and AA- from Standard and Poor’s, and an A1 from Moody’s, you can count on Mutual of Omaha to insure you. Learn more about Mutual of Omaha by reading our company review. Most companies cap no exam life insurance plans at $250,000 which won’t provide enough protection for many people. If you need more than $250,000 but also need a no exam policy, check with Principal Financial Group. Principal can offer up to $1 million in coverage even without a medical exam. Additionally, you can get approval in as quickly as 48 hours. While the no exam plans will be more expensive than medically underwritten coverage, Principal offers competitive rates for no exam coverage. Principal is rated A+ by A.M. Best, AA- by Fitch Ratings, and A1 by Moody’s. You can learn more about Principal Financial Group by checking out our company review. Gerber Life consistently earns high ratings from the third-party ratings agencies. After a recent announcement of its sale to WSFG, Gerber has continued to receive positive ratings, with A.M. Best confident in its future stability. The company offers several no exam options, including term and whole life plans. You can secure up to $150,000 in whole life, no exam simplified issue life insurance, but if you can’t get approval, Gerber also offers one of the simplest guaranteed issue policies on the market. Anyone can get $25,000 in guaranteed issue coverage with no questions asked. Regardless of your health or any prior life insurance denials in your past, you should be able to get this coverage. Learn more about Gerber by reading our company review. If you need coverage as quickly as possible, check with Fidelity Life. The company’s RAPIDecsion life insurance policies have streamlined the application process to make it as quick as possible. Instead of having to wait several weeks to get approved for life insurance, you’ll be able to get insurance protection in as quickly as 48 hours. Fidelity’s RAPIDecision Express policy allows applicants to bypass the medical exam and offers coverage from $25,000 to $250,000 depending on your age. Fidelity offers term lengths or 10, 15, 20, and 30 years. Fidelity is also highly ranked by the credit agencies, with A.M. Best upgrading the company to excellent at the conclusion of 2018. With more than 120 years in life insurance, Assurity is one of the oldest and most established companies on our list. And it’s not all about age and experience. Assurity has earned A ratings from AM Best. Assurity’s “NonMed Term 350” life insurance policy allows anyone age 18 to 65 get life insurance protection up to $350,000, which is $100,000 more than most companies can offer without a medical exam. We can’t make a list of best no medical exam plans without including Sagicor. This company has proven itself one of the best places to get life insurance without a medical exam. Sagicor has only three rated classes which keeps the underwriting processes simple and fast. You can buy coverage from $25,000 to $500,000 at competitive rates for no exam plans. Along with simple underwriting comes a simple application process. Many applicants can complete the entire application in 30 minutes or less. Sagicor is a dependable company as well, confirmed with newly updated ratings from A.M. Best. Check out our review of Sagicor for more information. Applicants up to age 80 can get Phoenix Life’s Safe Harbor Term Life Express policy, and the company excels in its variety of riders which allow you to customize your plan. an option to convert the policy to another form of coverage. These riders can help if you’re worried about how you’d deal with a long-term illness that keeps you from earning but doesn’t allow access to a life insurance death benefit. Obviously, the more riders that you add, the more that you’re going to pay in monthly premiums. Phoenix Life, too, is respected by the credit rating agencies, with an A+ from Fitch Rating. Learn more in our Phoenix Life Review. Name recognition carries a lot of weight with insurance, but you can’t always depend on it. Foresters, for example, offers quality insurance even though you may not have heard of it. Foresters has an A rating from AM Best, which means it should be a reliable partner for your long-term life insurance needs. The company’s most popular option is its PlanRight Whole Life Insurance policy. These plans are permanent coverage, which means you’d keep the coverage as long as you pay the premiums. Foresters has one of the lowest premium rates schedules out there, but they do have some requirements that you’ll have to meet. To learn more about Foresters, read our company review. American National Life Insurance Company has excellent ratings and several plans you can compare. Each plan has various benefits and coverage limits that you can choose from. American National’s plans range from $25,000 to $250,000. Additionally, the company has one of the fastest application processes you’ll find. You can complete the whole process and get coverage in as little as 15 minutes. American National has excellent ratings from the agencies, with an A from A.M. Best and Standard and Poor’s. If you need more information on American National, check out our review. Last but not least on our list is Americo which offers term insurance coverage up to $250,000 for 20 to 30 years. Americo’s strengths include its additional accidental death benefit. If you were to pass away from an accident, your family would get an extra 25 percent of your policy’s face value. Americo also has a premium refund option. Like most return-of-premium riders, expect to pay more, and be sure to read the fine print. Most riders return premiums only at the end of the term and not if you stop paying premiums during the term. The underwriting process is simple. It includes a short questionnaire. Americo also boasts high ratings from the credit agencies, with a stable outlook and high scores across the board. To read more about Americo, check out our review. You have your reasons for skipping a medical exam. Maybe you feel like you can’t qualify for medically underwritten coverage. Maybe you’re so afraid of needles that you’d rather pay a higher premium, and it’s not even worth debating. Maybe you’re in a hurry and just need coverage in place to satisfy a legal requirement. Whatever the reason, we want you to know what you’re getting in to. Getting life insurance coverage should make life easier for your loved ones if you died unexpectedly and could no longer provide financially. Daytime TV ads show no exam coverage as a cinch. Yes, it is easier to get approval with a no exam policy, but things seldom work out as neatly in real life as they do in the ads. Finding the right policy can take a little time because a variety of variables work together to create an insurance policy. When you have the right policy, these variables work together to your advantage. So before jumping at a policy that looks good enough, check with an independent insurance agent near you, or contact us. As consumer advocates, we are on your side. We work with a wide array of life insurance carriers, and we can help find one to best suit your life’s needs. I bought a term life insurance for my husband for 29 years now. Premium paid automatically taken out of our checking account in advanced monthly. 6 days or 4 working days before he died I cancelled the policy by phone. I received the premium refund 4 days after his death I did not cashed the check. Is it technically possible that he is still insured before he died? Hi Emilie – Probably not, since you formally canceled the policy. But you can call them and see if your not cashing the refund check constitutes a continuation of the policy. Super list of companies. Helpful highlights of each company too. Banner Life also offers between $100,000 to $500,000 of term life insurance to applicants between the ages of 20 to 50 without any medical examination. Banner Life offers an automated underwriting program is called Appcelerate. This is a form of “no exam life insurance” which offers simplified underwriting for people who are in relatively good health. Good luck in 2017! I’ve seen people denied regular life insurance for having conditions that do not shorten their life span like glaucoma. Sometimes, you really DON’T have a choice and have to get the more expensive coverage. Life insurance is critical your web site has lots of fine information. Many thanks for expressing everything you know about life insurance with no exams. If you’re in good health than you should strive to have coverage which likely would require an exam. Obviously if you get no-exam coverage, you’re going to get the lowest possible coverage based on the per dollar cost of what you’re contributing, but if you can prove your health via an exam, your risk will be lower and they’ll charge you less (or give you greater coverage for the dollar).